We use our whole imagination to assure your feast with elegance and make it impressive from the beginning to the end. We have the perfect place, the best chef, professional photographers, hairstylists and makeup artists. We'll turn it into the wedding of your dreams! We’ll offer you a proficient wedding planner so you can plan the special day upon your demands. He’ll help you plan and complete each detail and make your dreams come true. We can organize also preliminary wedding photo session on places chosen by you. They’ll keep your memories alive in the years. We are ready to be your hospitable hosts not only on your wedding day but also on each anniversary after it. 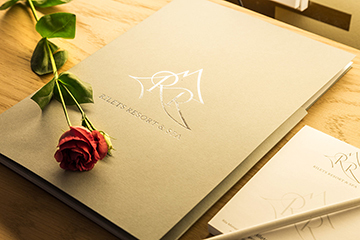 Please contact booking@riletsresort.com or +359 876 810 008 to check for available dates and ask our stuff for details.